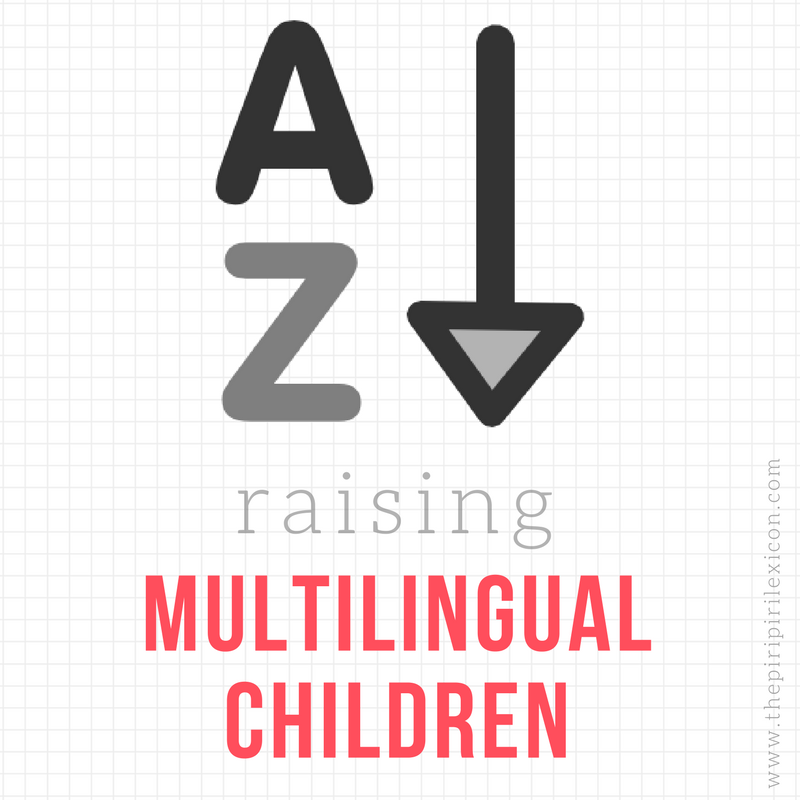 Today, I'm so delighted to be participating in the PiriPiriLexicon's excellent series, "A to Z of Raising Bilingual Kids." It has been so fantastic to read through all the enlightening posts written by bloggers around the world who are working hard to raise bilingual children. There are so many tips and insights to be found on their blog posts that I would strongly encourage you to follow along with this excellent series and read ALL of their posts. You can find a complete list with links to each remarkable piece here. My particular topic is one that always touches a cord in my heart when it comes to raising bilingual kids: Persistence. There are SO MANY articles, blogs, books, websites, and experts who will tell you that to raise bilingual children, you have to teach them while they are really young and under a certain age. Most products are geared for babies, toddlers and young children. While this is absolutely fantastic and probably the easiest way to teach a person to learn a language, I always fear that this focus and language discourages parents with older children from attempting to teach them a second langauge. As if there is some cut-off age where they can't learn it. I've made it no secret that teaching my kids Spanish has been hard. I didn't start when they were little because to be honest, despite the fact that my childhood was immersed in culture and language, once I hit high-school and my mom and I moved away to another city, that culture and language was largely ignored except for the few times I would go and visit my family in Spain. My mom didn't speak Spanish to me and I was the only Hispanic in my high school. It wasn't until after I had my daughter, when I was 31 that I suddenly realized my children were going to miss out on all of those cultural experiences I had in my youth. I tried speaking Spanish to them on occasion, but not with any consistency. (Except for bilingual and Spanish children's books. I was pretty hard-core there.) Instead, I focused intently on culture; the food, the holidays, the arts and crafts. When I started homeschooling, we often used Spanish programs as part of our curriculum. But by this point, my kids fought it. We've plugged along valiantly, though. Sometimes I'd despair that I'd ever get them to learn, even though they make really slow progress. And I became more and more pessimistic the older they got. Then several important things happened to change my outlook. First, we had some dear friends from Bolivia came to visit for two weeks and they brought their children. Though they are a year or two younger than my kids and they spoke no English, they all got along great. 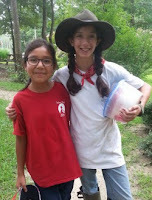 My daughter, especially, was delighted to have friends from another country. And after they left, she was motivated like never before to learn Spanish. And while talking to my dear friend, who is their mother, I learned that she had started to learned English when she was 13. She didn't want to at the time, but of course, now she is so glad she did because it has helped her and her husband with their work. Her husband spoke no English and my husband spoke no Spanish, so together, she and I acted as interpreters. Then, last year, my husband and I took our kids to Spain. I wrote about the experience here. It was the first time my dad had met my son. And though they still weren't fluent in Spanish, everyone got along beautifully and the entire experience provided additional motivation for my kids to learn. My daughter returned with renewed enthusiasm for her Spanish curriculum, determined to learn so that she can return as soon as possible. My kids are now 10 and 12. When I listen to my daughter speaking Spanish, my heart swells with emotion. And I am reminded that when it comes to raising bilingual kids, the only limits are those invisible barriers that we create in our own minds. Despite setbacks and obstacles, I encourage you to PERSIST. Never give up. Because you CAN do it. Don't listen to nay-sayers. Don't worry about how old they are. Don't worry that you didn't start with the OPOL method or the ML@H method or whatever. Don't worry that one (or two or five!) program/curriculum doesn't work for your kids. Don't give up just because your kid resists learning. Keep trying. You may have to think outside the box to find ways to motivate them. You may have to shop around to find the right program. You may have to get extreme and travel or find other ways to engage them with native speakers. What a wonderful post! 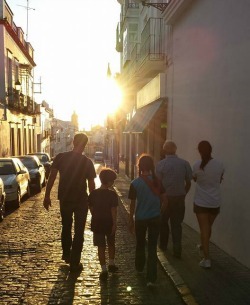 It is a story that parents are also on this bilingual family journey can relate to.